The violin – please don’t call it a fiddle – is thoroughly marginalized in contemporary music. For jazz, there’s Regina Carter, but Robert Plant is meeting Allison Krauss in bluegrass territory, not the other way around. The instrument belongs either at a hoedown or high tea, and nowhere in between. Then along comes Lili Haydn, a virtuoso who brooks no such boundaries. This is her third record in 10 years, and to say it’s hard to pin down is an understatement. The many layers of “Place Between Places” keep inviting one back in, trying to pry more insight from it. In “Can’t Give Everything” Haydn dispenses with the electronica that marred 2003’s “Light Blue Sun,” delivering instead a raw musicality that’s equal parts Prince and Jean-Luc Ponty. Parliament/Funkadelic leader George Clinton has aptly called her “the Jimi Hendrix of the violin,” and she returns the favor by reinterpreting his 1971 guitar fireworks on “Maggot Brain.” The album’s other instrumental, “Place Between Places,” is a trance inducing tour de force. But comparisons don’t do it justice. A record like this hasn’t come along in … well, maybe since her last one. 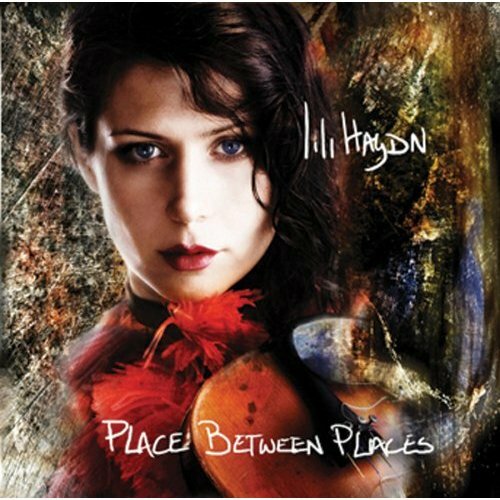 But with “Places Between Places” a mature Lili Haydn trusts her instincts and eschews surface sheen and needless window dressing. “I’m nobody’s baby,” sings the violinist, “I’m just who I am.” Gifted and fully grown, Lili Haydn has made an album for the ages.